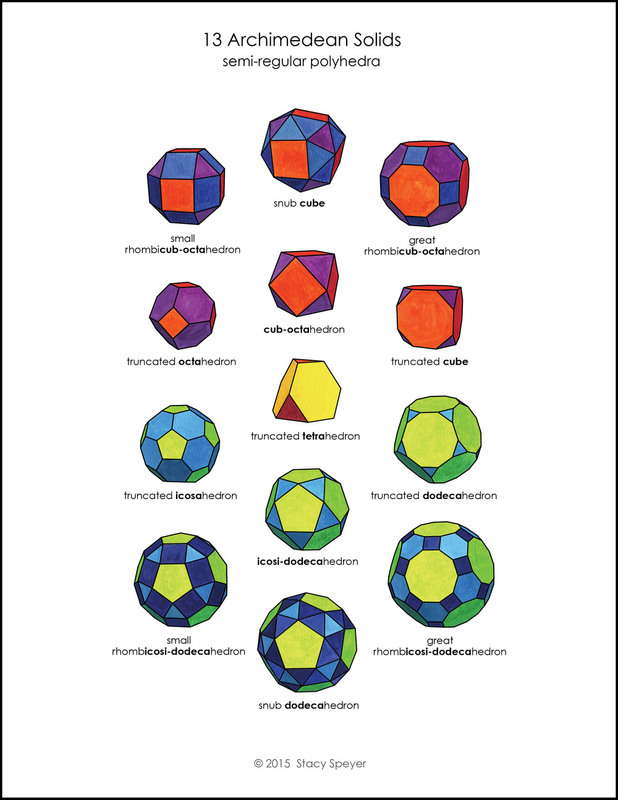 The charts of the shapes below come from the Introduction to Polyhedra chapter from my book Polyhedra: Eye Candy to Feed the Mind. They are painted in watercolor on paper then scanned into Photoshop, with nice crisp vector lines made in Illustrator. Below are the lists of polyhedra in Net Books #1 & #2. For those who haven't yet memorized all those long names, an easy comparison of shapes and names can be done. Both books include a color chart of all the polyhedra that can be made in that book.